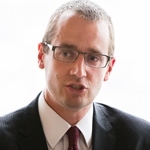 John Willman is Specialist adviser at the Parliamentary Commission on Banking Standards, and to the House of Commons Treasury Committee (appointed April 2011) and a former Associate Editor of the Financial Times. In an 18-year career with the FT, he held a series of senior roles, including Chief Leader-Writer, Banking Editor, Consumer Industries Editor and latterly UK Business Editor. He has also won many journalism awards, including Financial Journalist of the Year at the 2001 British Press Awards and the banking award in the Business Journalist of the Year 2002 awards. 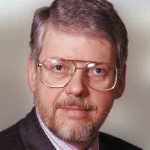 A foremost expert on British manufacturing and export to global markets. Willman explains the complex machinery of markets in terms which all can comprehend. Since stepping down from the FT in March 2009, he has been working on a variety of editorial projects for government departments and large companies, and is a Senior Research Fellow at Policy Exchange, a free-market think-tank. Leaving Cambridge University in 1971 with a first-class degree in Social and Political Sciences, John initially taught economics, until in 1976, he entered journalism as a financial writer for the consumer magazine Which?, later becoming publications manager for the London office of Peat Marwick, the accountancy firm (now KPMG). Between 1985 and 1990, he was General Secretary of the Fabian Society, the left-of-centre think-tank associated with the Labour Party. Willman has written or contributed to several books, including A Better State of Health, the annual Lloyds TSB Tax Guide, the Which? Guide to Planning and Conservation and The Major Effect. John Willman is widely recognised as the foremost and most trusted interpreter from the margins of where politics, policy and business meet. 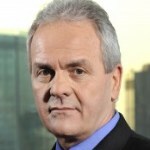 He has extensive broadcast experience and has appeared frequently on BBC TV and radio, Sky News and CNN. He has interviewed many senior political leaders including Gordon Brown. John Willman currently holds the bureau title for the highest ever level of consistent client feedback for any speaker, with an impressive rating of 98%.